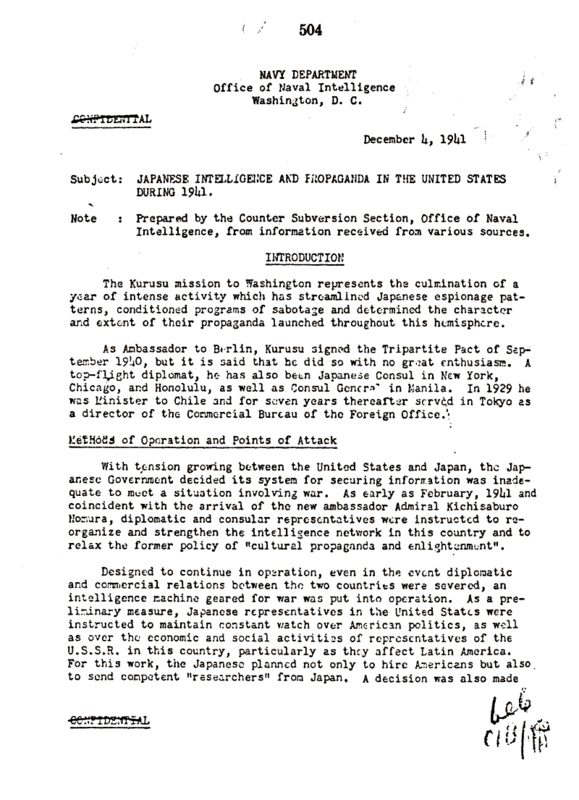 Document Notes: A detailed report dated 3 days before Pearl Harbor outlining Japanese operations during the year. To one familiar with the Magic messages of the year, much of this report will seem familiar. A report ignored by CWRIC.